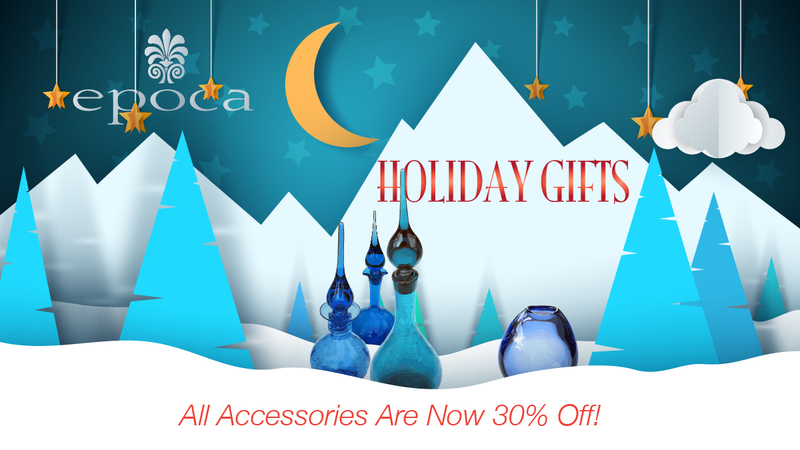 All Accessories are 30% off through December! At epoca we are in a "Holiday Frame of Mind" and we have some memorable gifts ideas for your family and friends this season! A gift is an expression of how much we appreciate one other. The holidays offer us an opportunity to treat that important someone to an exquisite something that shimmers and shines—something they'd never pick up for themselves. A gift that stands out. Something really rather personal.